Annette serves as the office manager. Her primary focus is on marketing and management of the office. She also serves as human resources coordinator, and takes great care of our entire team. 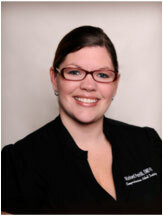 She has been with Dr. Petrilli for nearly 10 years, and loves working with the team. She earned her Bachelor of Arts from the University of Central Florida and her Master's Degree from Nova Southeastern University. She lives in Lake Mary with her husband of 8 years, as well as her cats, Moochie, Lily, and Bocci. She enjoys gourmet cooking, reading, traveling, and shopping. Abby's goal is to make our patients feel at home. She primarily handles patient scheduling, treatment planning, and appointment coordination. She is here to act as your dental concierge. Her expanded duties include billing, insurance, and patient account management. 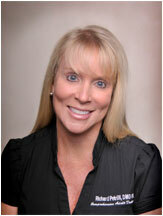 After working with Dr. Petrill for over 7 years, she continues to learn every day and loves what she does. Abby earned her Bachelor of Arts degree at Stetson University. She lives in Altamonte Springs with her husband and dogs, Taylor and Molly. She cherishes time with family and friends, enjoys scrapbooking, shopping, cooking, traveling, and spending time at the beach. 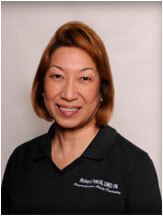 Bernie is a valuable part of our team, and has been a dental hygienist with Dr. Petrilli since 1998. Her patient care includes soft tissue management, dental prophylaxis, hygiene education, and scheduling patient recall appointments. She is gentle and caring with every patient, and is here to answer any questions you may have about your dental hygiene. Association. She is also a graduate of the Las Vegas Institute of Advanced Cosmetic Dentistry and Blatchford's Dynamic Team Concepts. In her free time, she enjoys traveling, photography, and cooking. 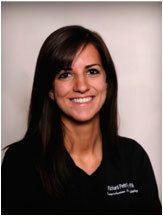 Bekah became a perfect addition to Dr. Petrilli's team in 2008. Her responsibilities include cleaning, filing, stocking, inventory, answering phones, and doing mass mailings. She also assists Dr. Petrilli chairside when needed. Bekah feels as though our team is a second family to her, and loves her job. She is very motivated, and provides a great deal of help to everyone on our team. She is currently pursuing her Bachelor of Arts degree in Psychology at the University of Central Florida. Bekah is originally from Sebring, Florida, but moved to the area to attend college. She really enjoys spending time with friends and family, listening to music, going out on the lake, and playing with dog Scarlett.